Is it possible to perform Picnik Download? In a certain sense, Yes, you can. Let’s see how it’s possible to have all features of picnik always ready to use. When you surfing the web, have you ever seen a photo orÂ image that you really liked and now you would like quickly edit it by picnik ? Generally, what do you do? Generally, the first thing you do, is to saveÂ image in your Hard Drive, than go to Picnik home page, upload it again, and finally edit the photo. Don’t you think that this is a waste of precious time ? Well surely it is. But there is a shortcut. 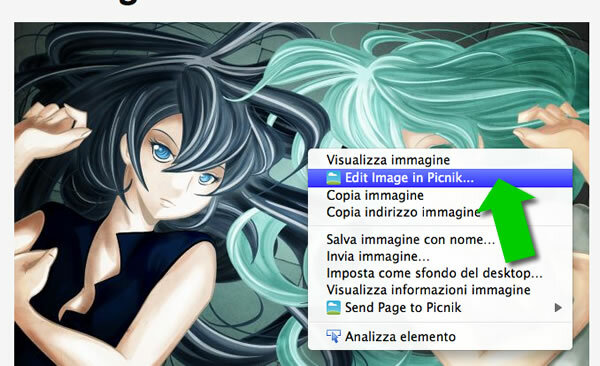 All you need to do is perform a picnik download, downloading Plugins and Addons for your browser. Plugins and Addons are a sort of extension that can be installed in your Browser and once installed, a new menu item will appear. 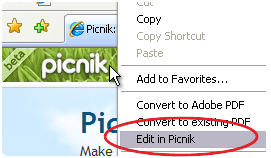 This new menu item is the shortcut you need to upload directlyÂ images you want to edit by picnikÂ from your browser. Let’s look now how to download, install and use these “shortcut”. Click on the Green Button to add to Firefox the selected Plugin, The Plugin will be installed and fully functional after restarting the browser. The image you clicked on will be automatically sent to picnik, and will be immediately available for editing, like shown below. Now just Edit and save your foto as usually, and you’re done! To start downloading Picnik Chrome Addon click Chrome Picnik Addon the following window will appear. 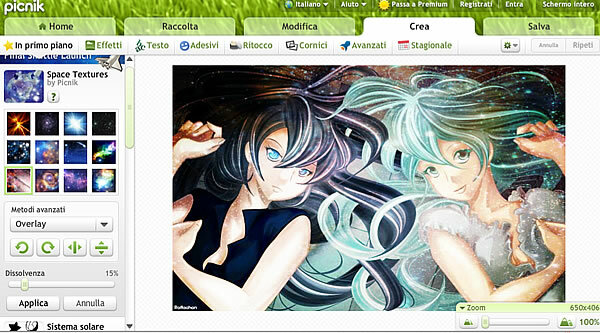 The Picnik Addon for Chrome will be installed in few seconds. Restart your browser to finish installation. Only after the restarting of Chrome the addon will be fully functionally. If you look at the right top corner of the browser, a new button is appeared. 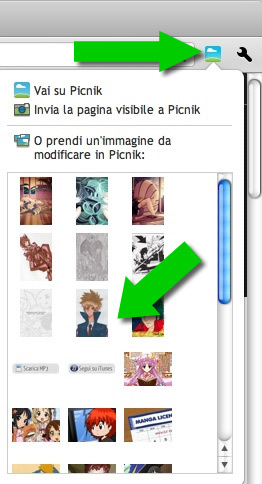 The button has the icon of picnik, to activate it just press it. Once pressed, a little scrolling window will appear, it contains all images of the web page you are visiting. Click the Image you want to send to picnik, and you’re done! To start downloading Explorer Picnik addon click here. Some confirmation windows will appear. Just click “ok” or “continue” in every windows (You Know, Windows Vista and 7 are paranoid…) to finish installation. AsÂ Firefox addon, Explorer addon also, will install a new menu item on your right click menu. To send an image to edit by picnik, just right click over the image and click “Edit in Picnik”, the image will be immediately sent to Picnik to start editing. So, enjoy with your “ShortCut” to Picnik, and Remember to share this article with your friends on Facebook, Google+ and Twitter!